Many men are on an endless search to find the best way to regain their youthful nature. If you have been battling the signs of aging and you are not a fan of the side effects and potential dangers that come with many of the products that are available today, you need to think about looking at Sermorelin injections as an alternative to testosterone boosters in Orange County. What Sermorelin injections can do for you is help with the natural stimulation of HGH production in your pituitary gland. As a growth hormone releasing factor, Sermorelin is a safe and effective way to get the natural production process going in your body. Once you are able to build up the HGH that your body needs, you are going to notice many benefits coming your way. If you have had issues with lowered libido or you are not performing exactly like you used to in the past, Sermorelin can get your body back on track. HGH is something that you need when you are younger for proper growth and development. As you age, the levels of HGH will normally decline and leave you with the signs of aging and lowered functions that a younger person may have. Instead of finding the wrong supplements or boosters to get you results, Sermorelin is a safer option that is only available by prescription. Dr. Dubroff at Holistic Solutions will be happy to discuss the symptoms that you are experiencing and help you to find a good balance in your HGH levels. After your first appointment and consultation, you will have the ability to enjoy a custom treatment plan to keep your overall health and wellness in mind. 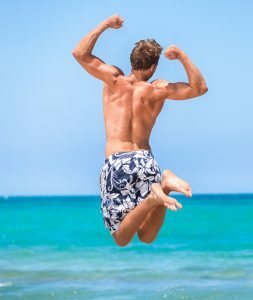 If you are looking to learn more about Sermorelin injections as an alternative to testosterone boosters in Orange County, call Holistic Solutions today at (949)444-4884 for a time to come in for an initial consultation.